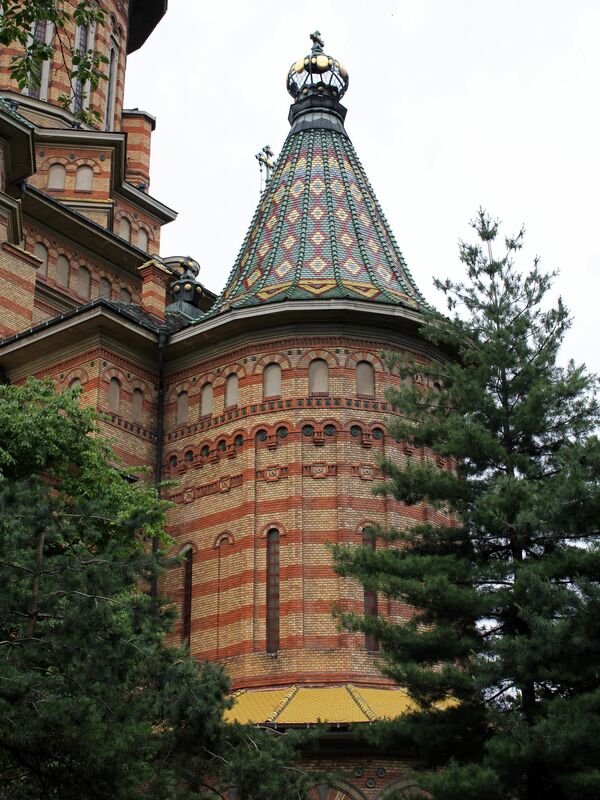 Red brick walls, 11 towers and mosaic of glazed red and green roof tiles make this imposing, 272ft (83 meters) tall structure the focal point of the Victory Square. 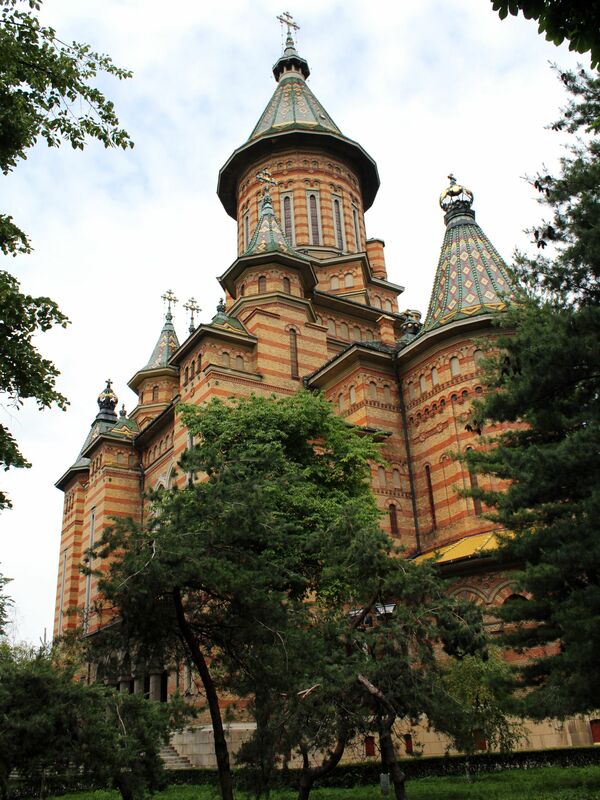 Cathedral’s vibrant colors beautifully contrast with the greenery of Municipal Park just behind the church. 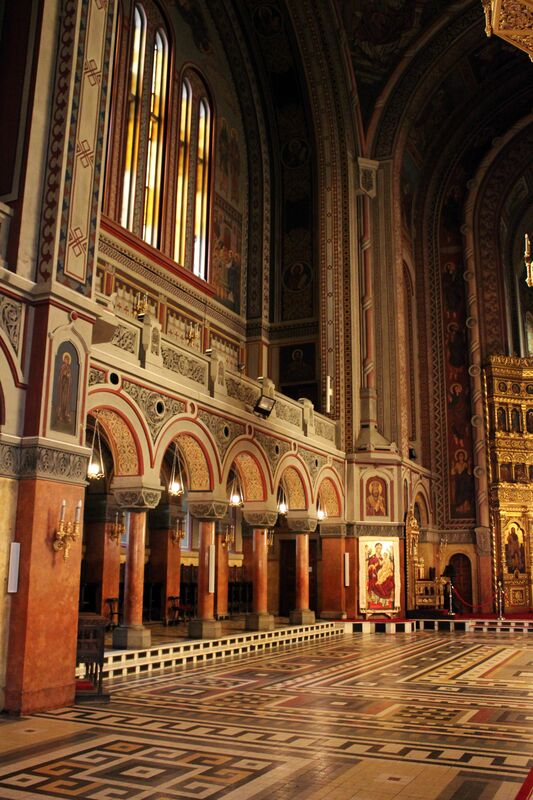 - Cathedral’s floor-plan has the shape of cross. - Seven bells (together weighting about 8 tons) were designed such way that each one represents one of musical tones. Their melodic line (harmony) was designed by the Romanian composer Sabin Dragoi. Today the bells are operated electrically. 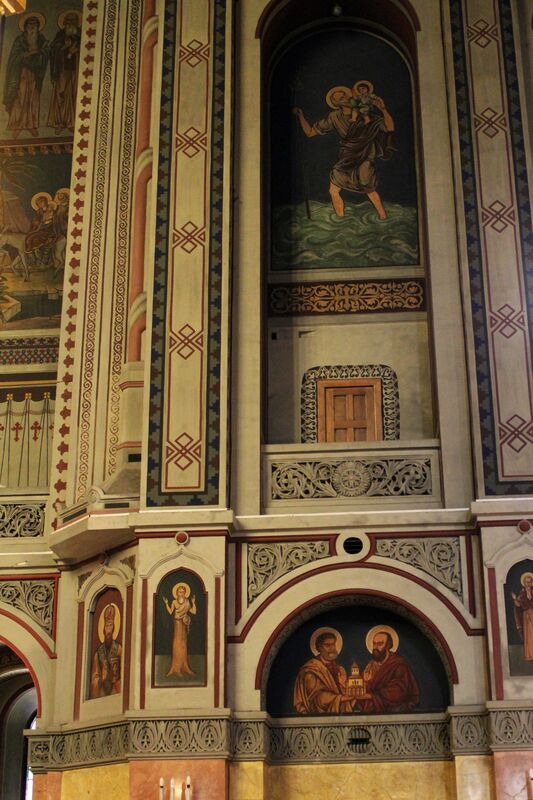 - Most of Cathedral’s paintings are work of Romanian painter - Demian Athanasius. 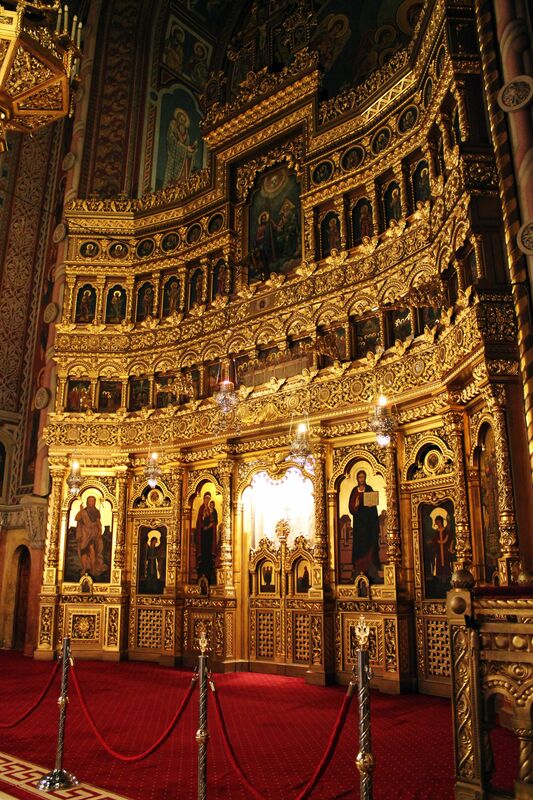 - Cathedral is consecrated to Three Holy Hierarchs – (in Romanian “Trei Ierarhi”): St. Basil the Great, St. Gregory the Theologian and St. John Chrysostom. 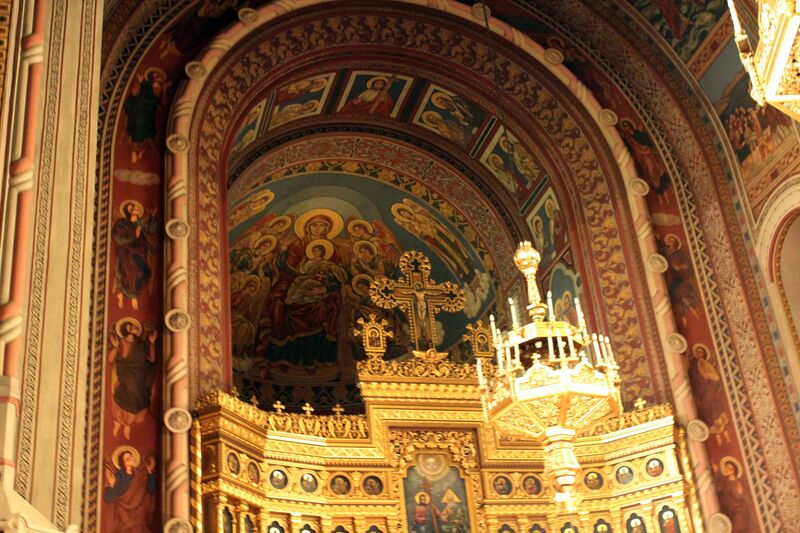 - Since 1956, Metropolitan Cathedral holds the relics St. Joseph of Partos (1568-1656). He was born in Dalmatia (Adriatic Coast in today's Croatia) and is considered by Christians as having gift of prophecy and wonder-making. 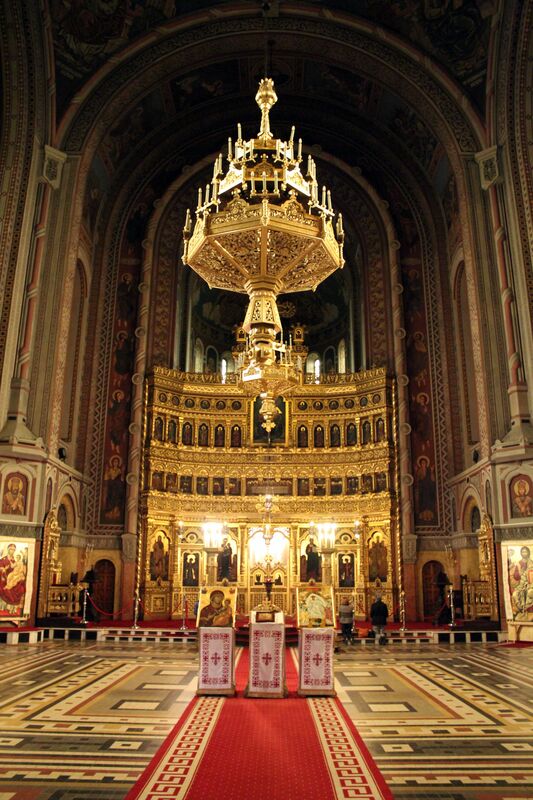 His relics are a priceless treasure and source of spiritual gifts for all believers. 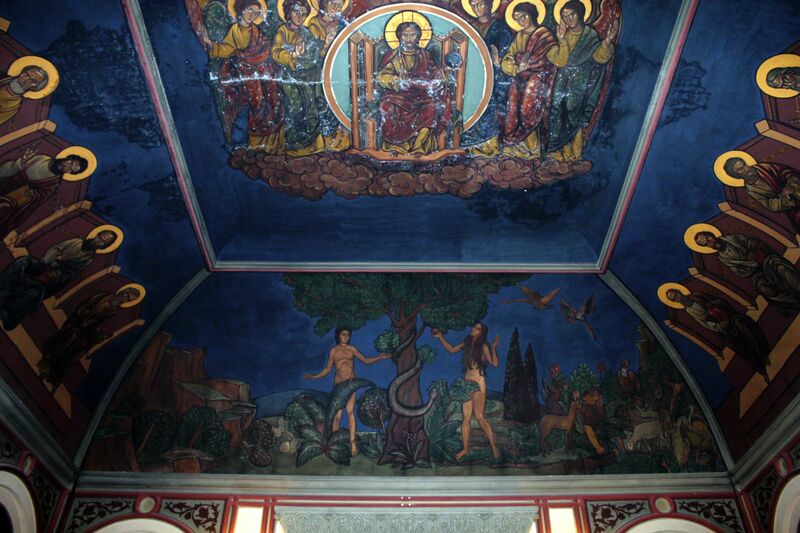 - Cathedral’s floor is made as the mosaic of tails with local motifs representing the region of Banat. 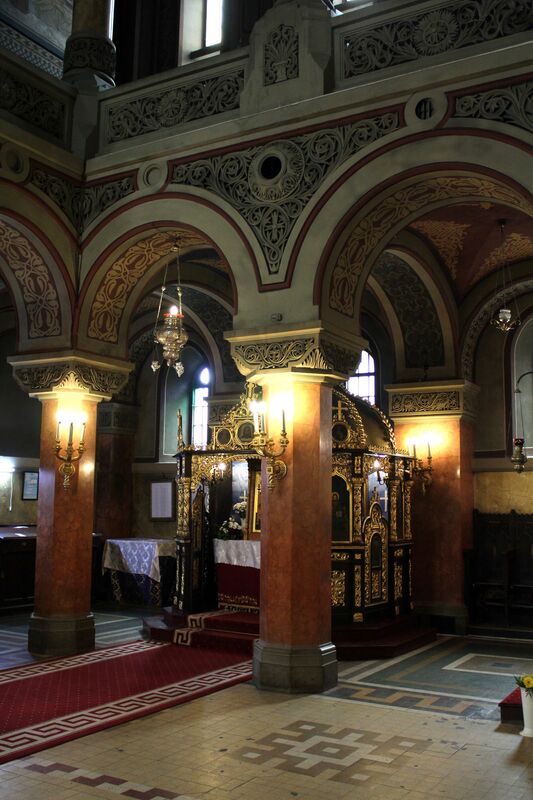 - Cathedral’s lower level houses the museum with collection of religious art, old religious writings, objects, icons and artifacts from Timisoara’s old churches. Thankfully, Timisoara’s post WW2 expansion was accomplished without sacrificing the belt of green acres, parks and gardens encircling the old city. Today, numerous municipal parks like Roses Park, Central Park, Cathedral’s Park, Andrei Mocioni Park, Botanical Park scattered along the Bega Canal provide a kind of “soft”, natural transition zone between the historical Old Town and the “pollution” of the modern–day outside world. In a way they “confine” vibes of the glorious past still well alive on the streets and plazas of the Old Timisoara preventing them from spreading and disappearing over the vast areas of municipal apartment buildings and industrial zones mushrooming outside of the green belt. 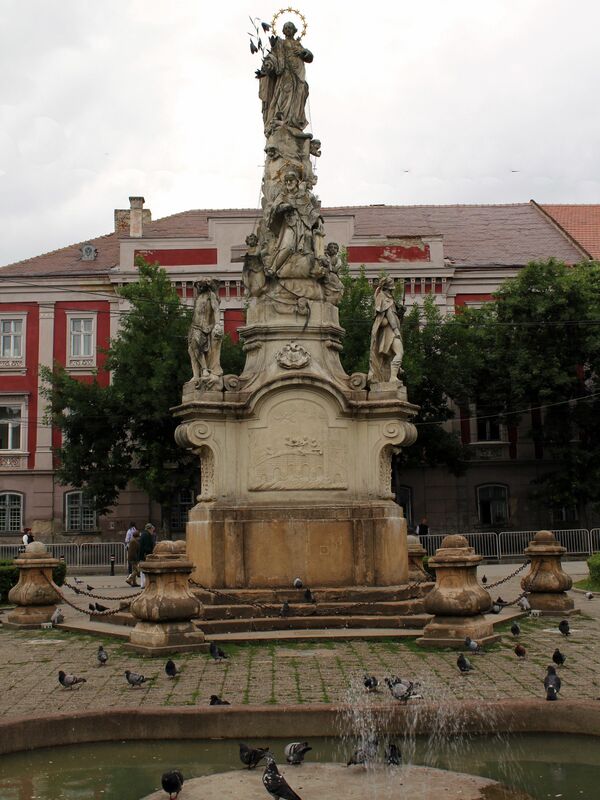 Some parks have been established long time ago, contributing to Timisoara’s nickname “Flowers’ Town” or “Parks’ Town”. 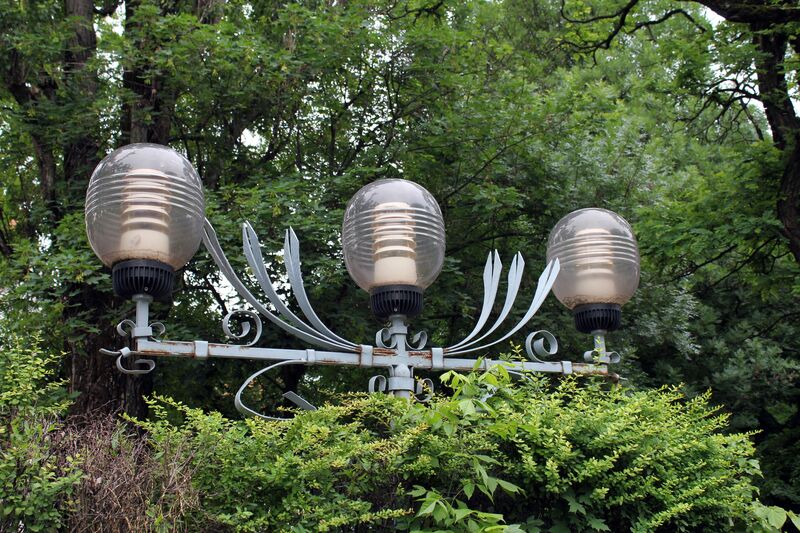 The most famous one – Roses Park was founded in the late 19th century by Timisoara’s nobles with great contribution of Wilhelm Mühle – owner of horticultural garden, several solariums and devoted admirer of roses. Right: Statue of St. Mary and St. Nepomuk on the Liberty Square. These days Timisoara, the biggest city in the western part of Romania, is the vibrant touristic, economic and cultural center struggling to connect its glorious past with the reality of 21st century.